Tulsa, Oklahoma – March 29, 2017 – VoiceFoundry, a provider of enterprise cloud-based contact center solutions with a unique focus on customer engagement, today announced joining the Freshdesk Marketplace ecosystem as a new partner to deliver a CTI Connector to link voice calls to the Freshdesk help desk ticketing solution for Amazon Connect. Freshdesk, a leading provider of cloud-based customer engagement software, recently launched the Freshdesk Marketplace to create a powerful and innovative ecosystem for customers, developers and partners. 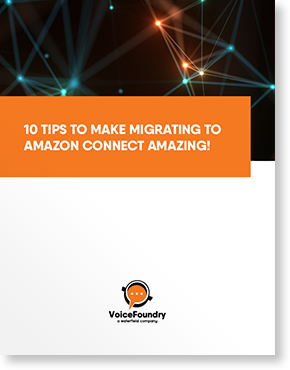 Based on the Amazon Connect platform, the CTI connector enables companies to quickly and cost-effectively integrate VoiceFoundry voice solutions and Freshdesk support ticketing systems, giving contact center agents the information they need to provide an exceptional experience on each and every call. Agents can instantly view caller information using a CTI screen pop – with contact info, service history, ticket ID or simply to open up a new ticket. This functionality allows agents to quickly resolve customer issues as a result of having access to customer data without the need to re-request information from the customer. “We are focused on partnering with providers who share our same vision for creating exceptional customer experiences. Freshdesk brings an innovative approach to integrating with partners in order to deliver voice with a comprehensive help desk solution to growing businesses. We are proud to participate in the Freshdesk Marketplace and deliver a CTI Connector that delivers real value to customer interactions”, said CEO John Marino of VoiceFoundry. VoiceFoundry has extensive experience in designing and implementing contact center solutions for mid to large enterprise businesses. With over 100 years of combined contact center expertise, VoiceFoundry is focused on partnering with software companies that have demonstrated real business value in innovative solutions and approaches to the customer experience. Our expertise is in delivering services focused on natural language automation, CTI, Workforce Optimization, user design, analytics and enterprise integrations.